The point is, he has the skills to tell anyone about investments in such a way that people unfamiliar with them start to think that it is very easy to invest and benefit from it. Even though the billionaire says that it is not so hard to make a fortune of $40B, his life story (as well as the path to success) is not so easy. Warren Buffett, in contrast to other investors, is not so ambitious, however, he is one of the richest men in the whole world. While most of the investors and Wall Street professionals are eager to reap quick benefits from speculative and risky investments, he has followed the “gradually asset-building” approach (avoiding debts and loans). Buffett is quite a conservative investor, and “No losses” is one of his major rules. However, insurance companies make the most of his income. What do we know about the insurance business? That’s absolutely right. It is rather risky, including accidents, natural disasters, and even catastrophe insurance. The billionaire is extremely careful about how he spends his funds. Nevertheless, he can suddenly invest in a random company he claims he likes. He can afford to buy a house wherever he likes, but he still lives a couple of miles from the place where he was born. Warren Buffett has earned more than $80B, but he doesn’t indulge himself. The personal airplane is the only luxury “toy” he purchased, and he named it in a bizarre manner (The Indispensable). According to Buffett, he doesn’t have any particular investment or management strategy, especially if we are talking about Berkshire Hathaway. Nonetheless, his colleagues say that he spends a lot of time attending meetings, where he painstakingly and relentlessly conveys his ideas about investments, markets, and business in general. You may ask what about his quotes? There are tens and hundreds of them, but we have chosen the most popular ones. Many investors and Wall Street “sharks” used to say that some of Buffett’s quotes are practical and really helpful. Someone’s sitting in the shade today, because someone planted a tree a long time ago. If an investor wants to earn the big bucks, they don’t have to buy stocks with the sole intention to sell them in the future. If you want to make a fortune – play the long game. Only an urgent need for money is a good reason to sell a company, not the strategic calculation. Buffett (he is 88 years old!) still reads books and newspapers every day. He also recommends everybody to stay humble, whatever happens. 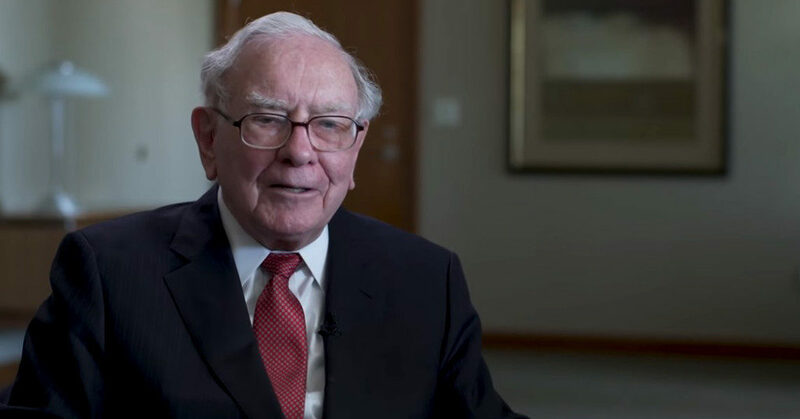 Taking the example of Berkshire Hathaway (the share price plummeted four times), Buffett emphasizes that it is vital to use your own money when talking about investments. He also explains why the use of loans is dangerous, and sometimes even harmful. An investor should always take into account the likelihood of share price busts. Thus, if someone has invested not only their own funds, it can become a problem. The constant stress leads to poorly founded decisions. Even if this advice seems to be too “simple”, one of the richest men worldwide believes it helps to succeed. There is no way to replace relations with people with business knowledge. «The investor of today does not profit from yesterday’s growth», – this is what Warren wrote far back in 1951. Nowadays, almost 70 years later, these words still remain relevant. Warren Buffett learned this lesson when he was a teen. Since he used to go to the racetrack, he bet on races. Once he lost, he continued to bet. He lost once again and blew his week’s earnings. Therefore remember, when you try to get out of a swamp, you can get bogged down even deeper. Moreover, you should never test the depth of a river with both feet. Use your head, and do not save what is left after spending, but spend what is left after saving.